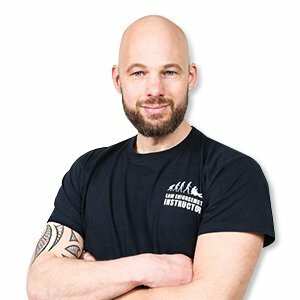 As a trainer for the military and other government services, Peter has gained over a decade of experience teaching close combat to various military and law enforcement units. Because KravMaga is efficient, easy to learn and can be applied under stress, Peter feels it is the ideal system for operators and other professionals. Peter believes in a system that is simple and effective, where principles are most important. Students should only learn what actually works because when you need to use it a lot depends on it. Aside from his military and law enforcement experience, Peter was trained as a teacher. Due to his passion for teaching, he is always looking for better ways to transfer his knowledge to his students. Having fun and a deep interest in his students play an important role. Peter now also shares his passion for training military and law enforcement professionals with civilians such as flight attendants, people travelling to high risk countries and anti poaching professionals.